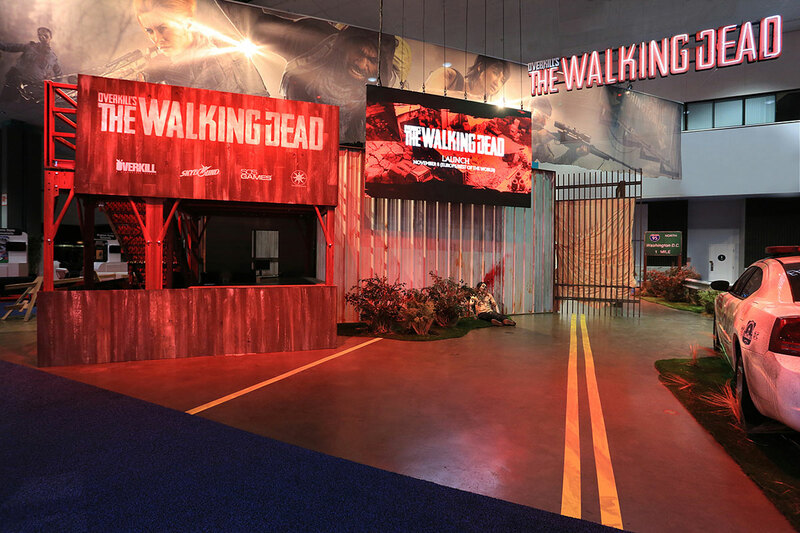 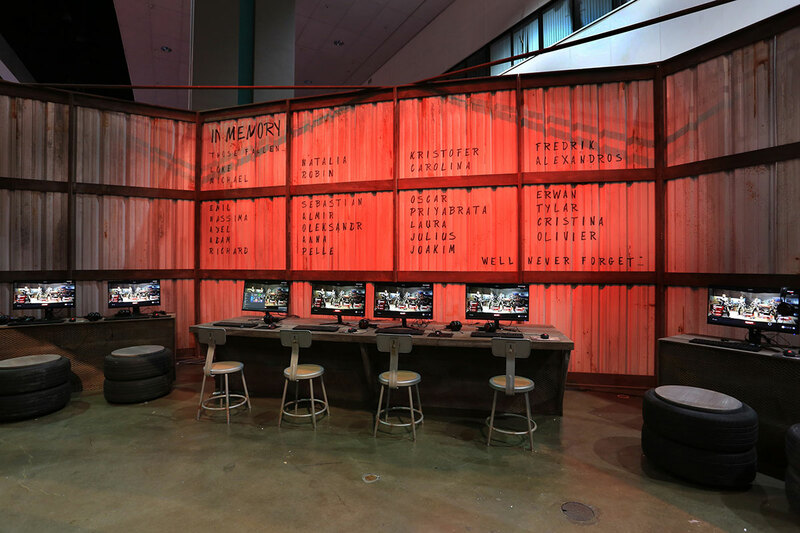 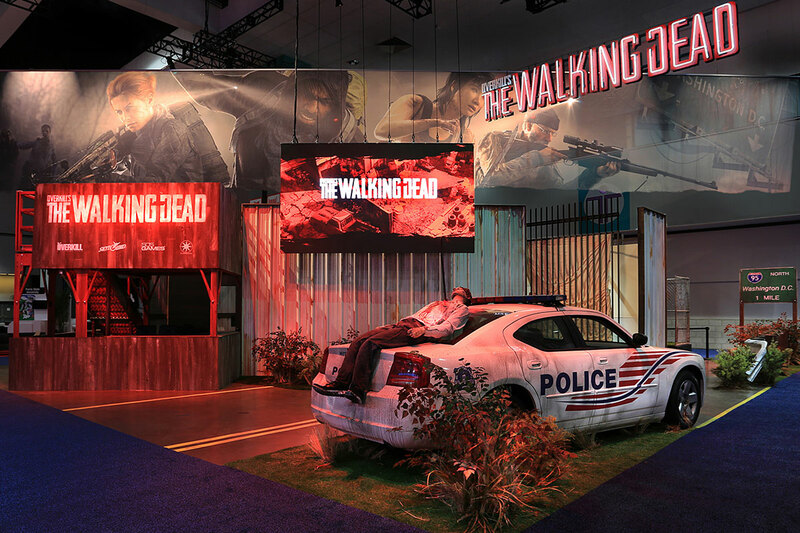 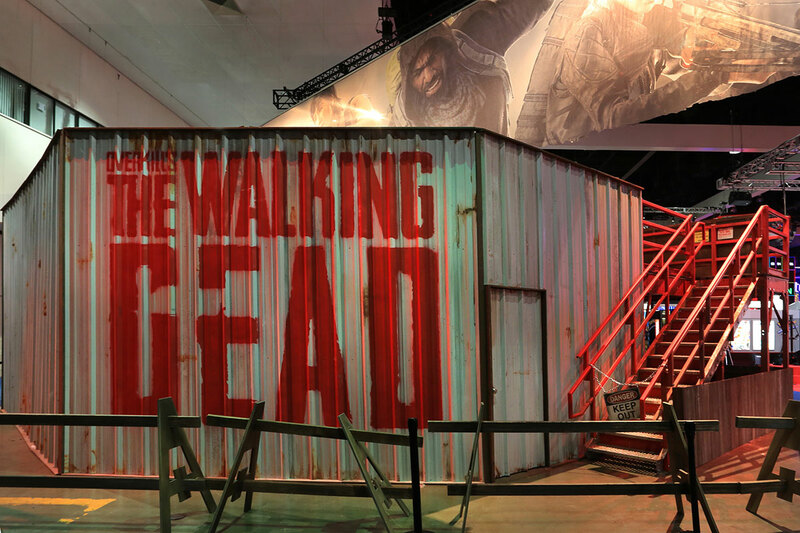 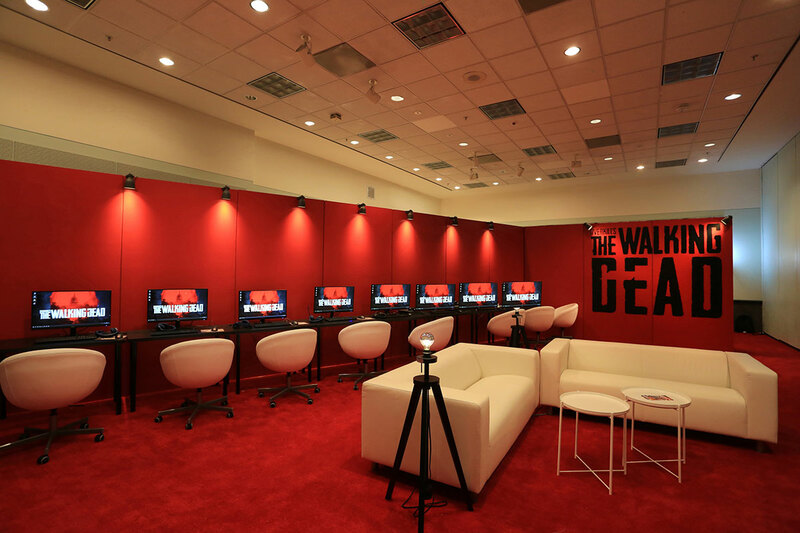 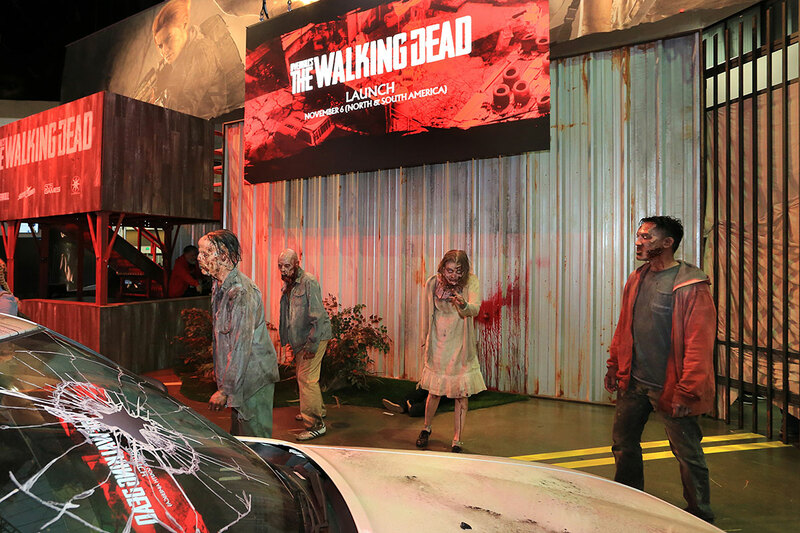 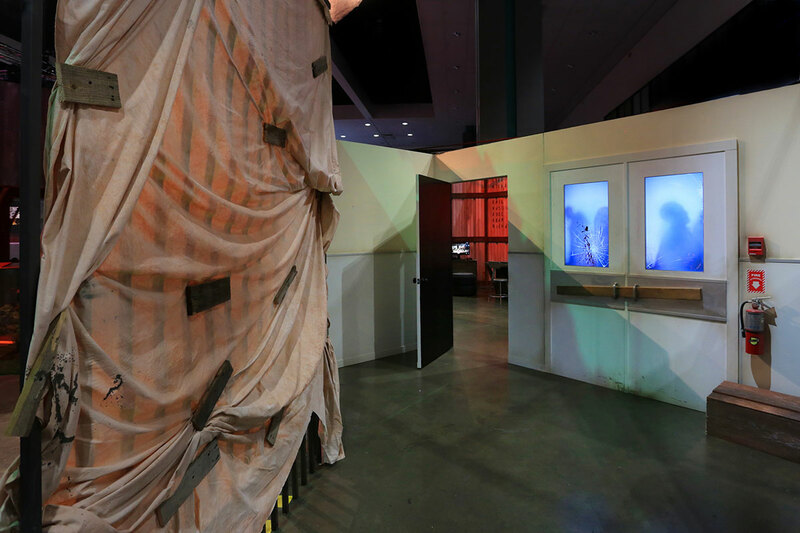 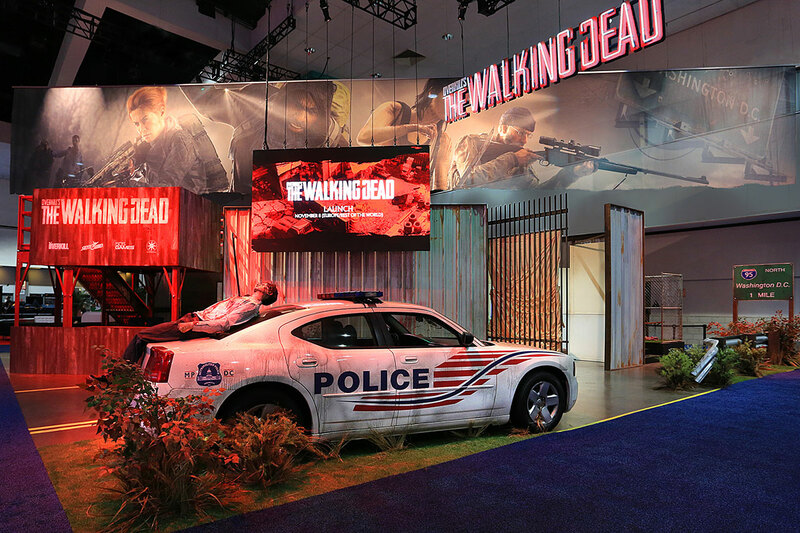 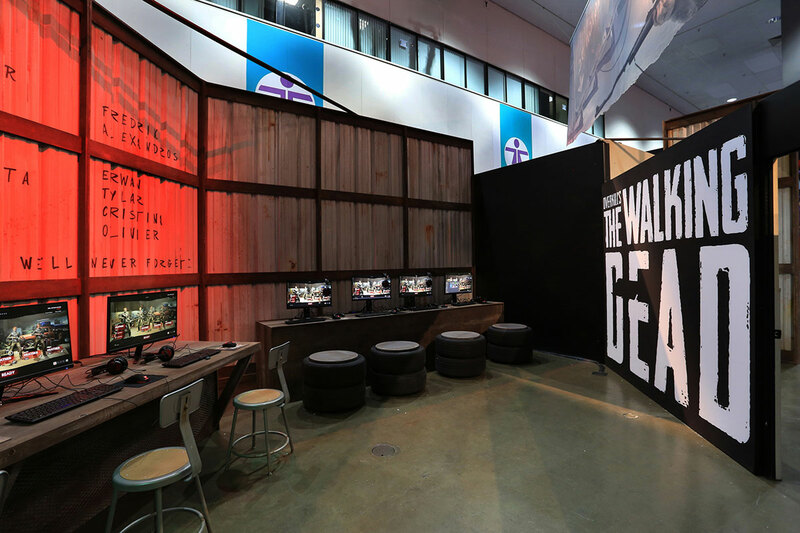 E3 2018 The Walking Dead Exhibit, Eventmakers produced the 50’ x 50’ interactive exhibit for Starbreeze Studios. 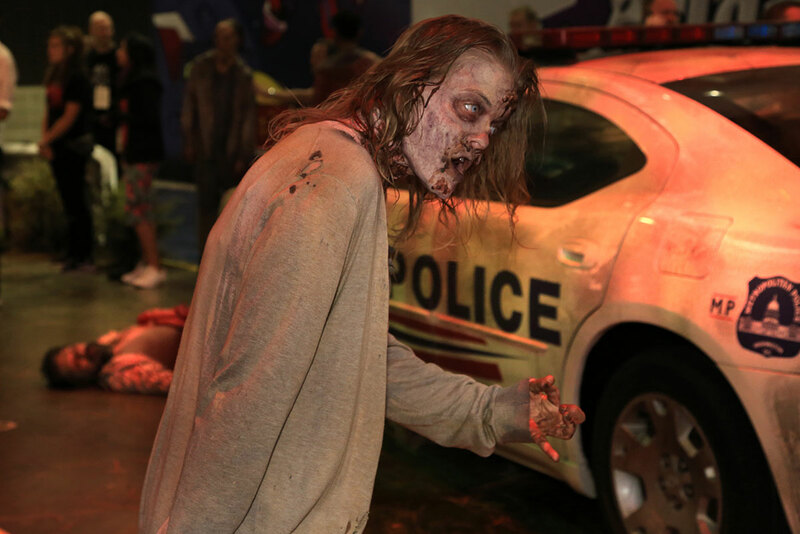 We employed 5 make up artists and made up 9 actors as Walking Dead walkers. 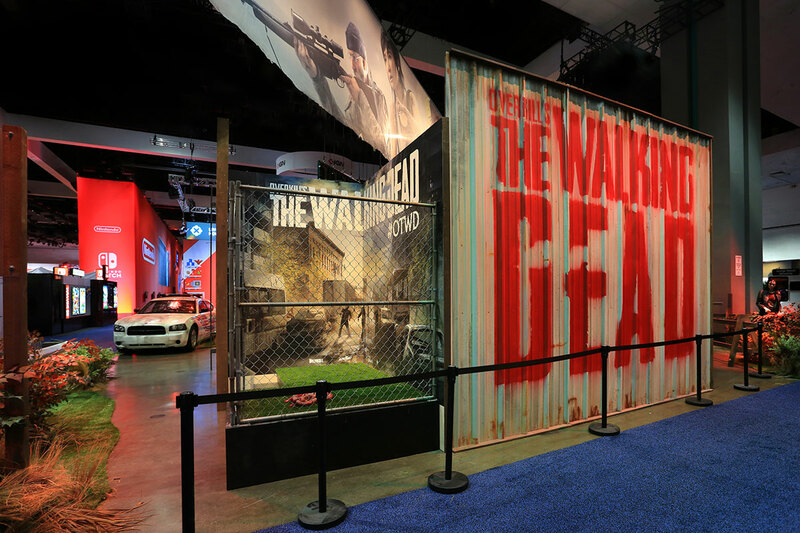 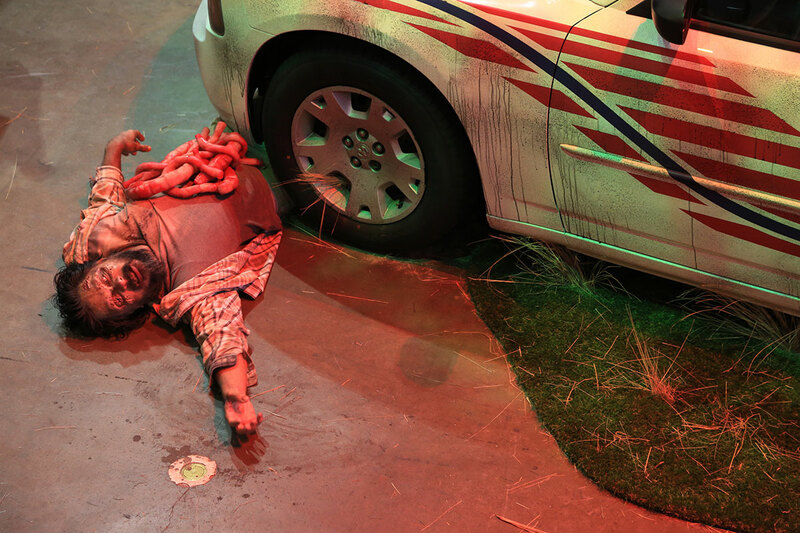 The walkers roamed the booth which included a photo op area where the exhibit attendees could get there guts eaten.